Following each yearly release of macOS, there is nearly always an issue to be addressed to keep MacStitch compatible. 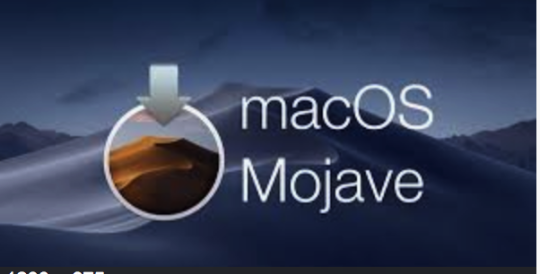 We have therefore spent a lot of time in 2018 working around the issues it introduced, but customers with versions from 2017 and older will encounter problems if they upgrade to Mojave. With regret, we do not plan to update versions of MacStitch older than ‘2018’ to work with Mojave - each was created and tested to work with the most recent OSX available when they were released and will continue to work if you do not change OS or computer. If you choose to upgrade to Mojave, you will also need to upgrade MacStitch to at least the 2018 edition. Discounted upgrade links are available on our web site, and below. nb: This year sees the introduction of ‘Dark Mode’. 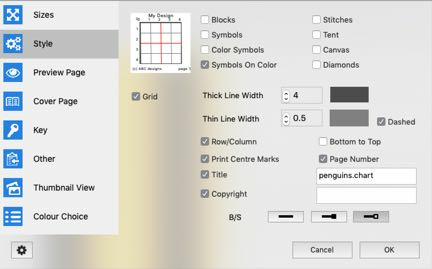 It will be some time before we have amended all the screens and controls of MacStitch to be compatible with the Dark mode option. Answer: Of course you are! We don’t even ask you to mention the software you use. Loads of people are doing it, and you don’t need any special version, although the Premium edition has better tools for generating PDF files. Good luck! Our ‘Canvas’ application ( a cut down build of our 2014 editions) has been discontinued. It was a 32bit application and also is incompatible with Mojave. Currently, MacStitch and WinStitch generate PDF files for emailing, and onscreen viewing, with colors described in RGB terms. Some professional printers translate those into CMYK colors before going to press. In the process, in order to get deeper looking blacks for photos, they print black as ‘black plus some extra cyan,magenta, and blue’. Overprinting, in effect. This is known as ‘Rich Black’. But it’s not great for text and thin lines, especially if the printing process is not as accurate as it could be.. lines and text can smudge. So we are now looking into ways to tell the Printers not to do that for lines and text. Using Acrobat Pro - Choose ’Convert colors’ from the ’Print Production’ tool bar on the right hand side. Then in the convert colors dialogue box, select ’Preserve Black’ in the ‘Convert options’ section near to the bottom. Change the output intent if required , then click OK. 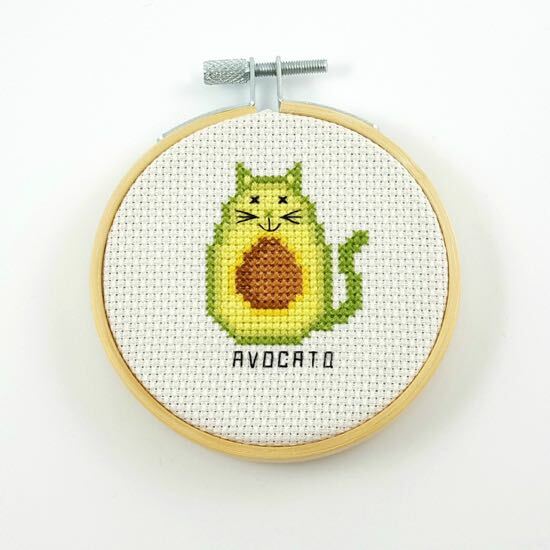 Finished the cute avocado and cat pun. An avocato. Windows defender - too keen? We have become aware of people having trouble installing anything (not just our app!) on their Windows 10 computers. Symptoms include being told the hard drive is full during installation, or messages about Favorites folder when the app is running. This is Windows Defender being ruthless about what it allows you to do. In some cases it has been known to block installs completely, even of Microsoft’s own products such as Office! If you have trouble installing, Defender can be turned off temporarily during install. That will allow you to install properly, and the desktop icon will be created without the (incorrect) ‘drive full’ message. Defender can and usually should be turned back on afterwards. 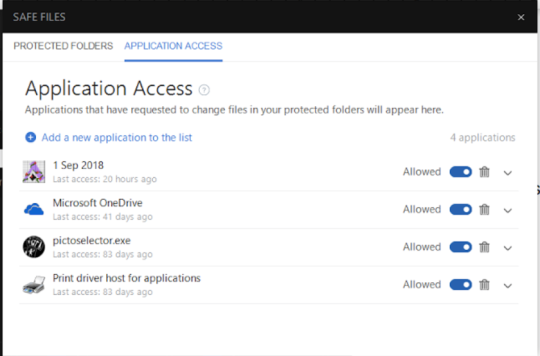 However, if you then get message after message about ‘favourites’ folder being used (which is a normal part of windows use), you may want to grant our app permission to run unimpeded. Go to Start > Settings > Updates & Security > Windows Security > Virus & threat protection > Virus & threat protection settings > Add or remove exclusions. Under Add an exclusion, select the files, folders, file types, or process. The exclusion will apply to subfolders within a folder as well. iPad & iPhone App available! 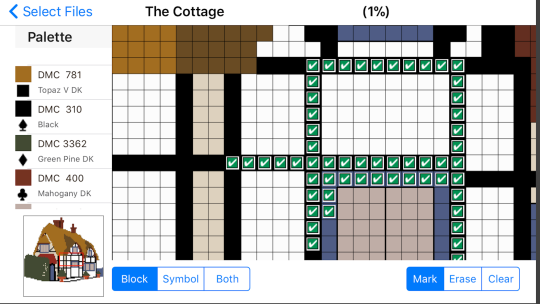 Cross Stitch Markup for iOS has been released! 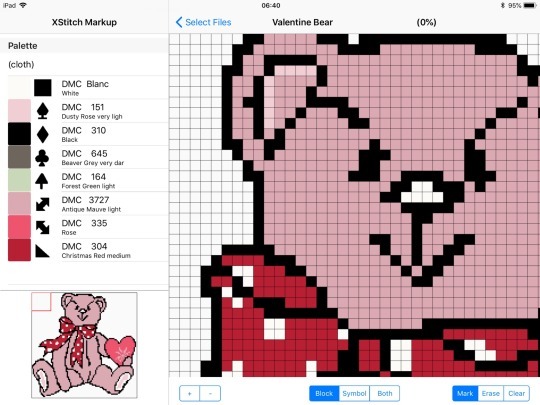 This is a companion app to WinStitch and MacStitch, which lets you mark up your designs for sewing while on the move, without sheets of paper or fiddly PDF files. It reads CHART and MOTIF files, and you can markup on screen at the touch of a finger. Whats more it is completely FREE! (No ads, no nags, no paid upgrades) get your copy now! If this happens to you, here is how to enable WinStitch for BitDefender. If you are having trouble, WinStitch will appear on that list , showing as ‘blocked’. Change that to ‘Allowed’, and all should work properly! 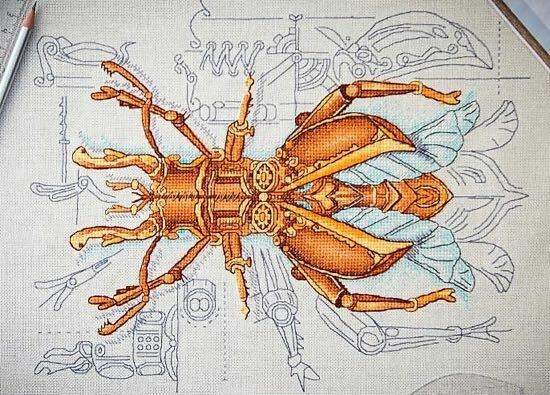 Definitely the best products for designing cross stich out there! I use MacStitch and WinStitch. Customer services are excellent too – honest and very helpful. Please feel free to post this wherever you like if you think it’s appropriate!